When Adriana Issakov opened La Jolla Swim and Sport in March 2014, she completed the decor by hanging a sign out front. 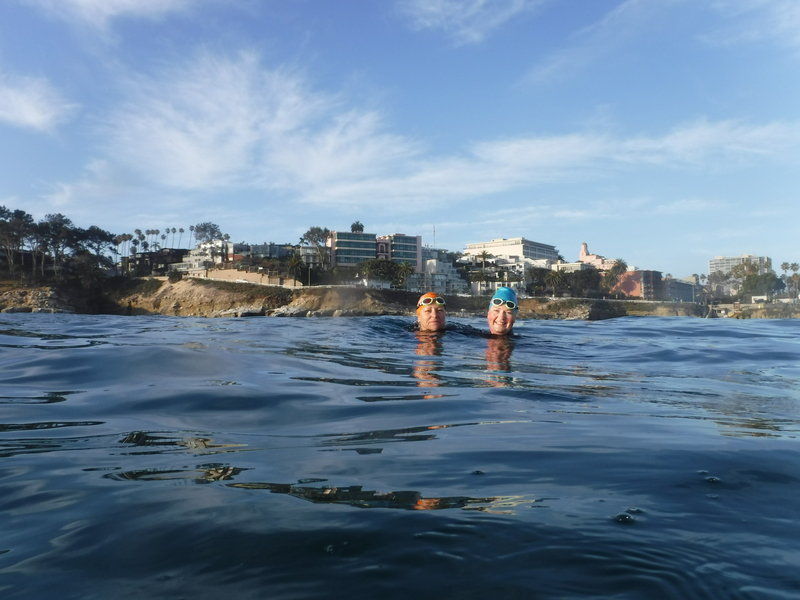 Issakov grew up swimming in La Jolla Cove and has channeled her love of ocean swimming by helping others feel at home in the ocean. "It's remarkable what has happened since I hung up that silly sign out in front of the swim shop. The response has been amazing, bringing many fantastic people into my life." From Argentina to Canada, Australia to England, we've had swimmers from all over the world join our FREE guided swims! Issakov offers guided swims at the Cove beginning at 6:30am every day (with a prior reservation) and caters the swim to each individuals needs. 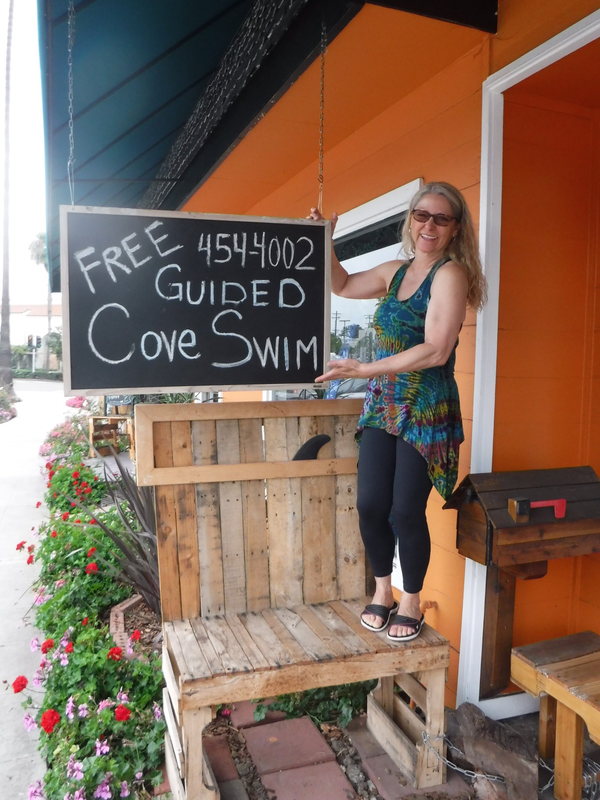 Swimmers who seek her out benefit from her knowledge from a lifetime of swimming at the Cove. Mentoring new swimmers, triathletes and marathon ocean swimmers of all levels. Recently becoming certified as an Official Catalina Channel Observer. La Jolla Swim and Sport is the ONLY swim shop in the Village of La Jolla. An outstanding selection of product for sale and for rent for all your water sports needs. Come and check out the shop and meet the owner!